We are still full-force ahead with the kitchen renovation through Lowe’s. 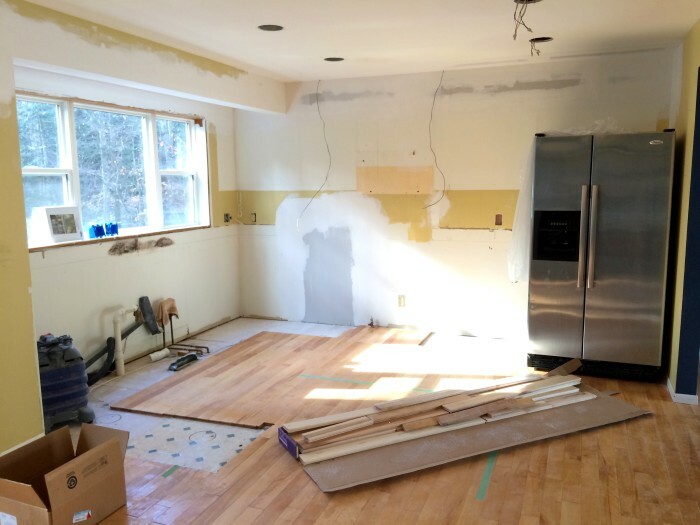 The remainder of week one was filled with patching and repairing the walls, moving electrical openings (in the walls + ceiling), and sanding the walls to prepare for the cabinet installation. 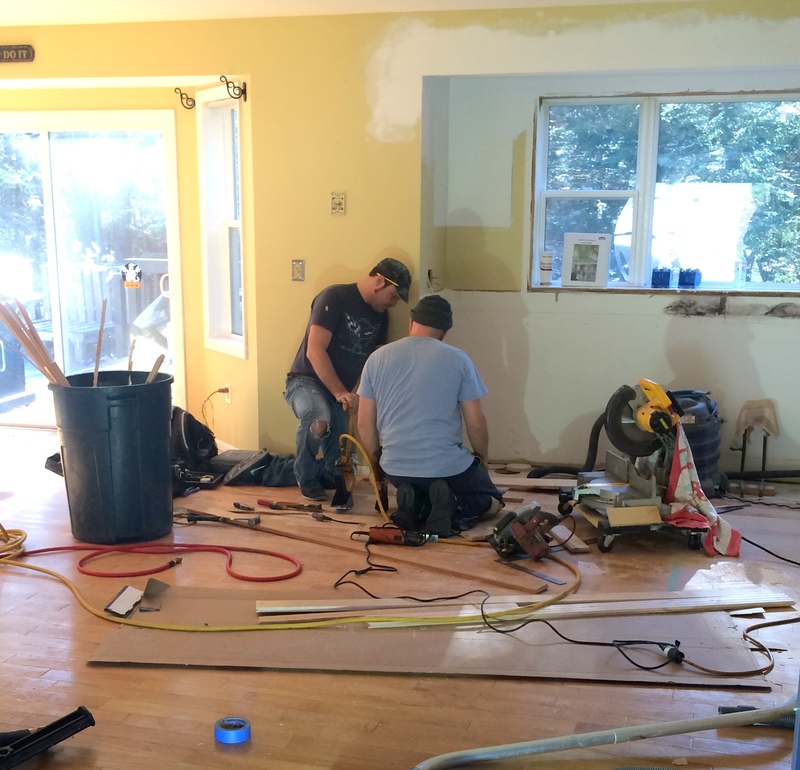 Once the vertical surfaces were complete, the next area of focus was the hardwood floor, which started out week two of renovations. 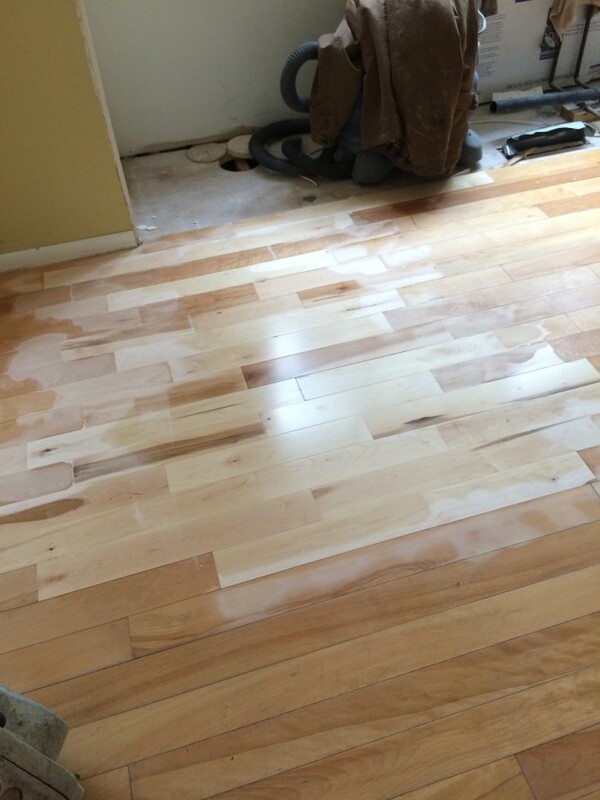 The major stresser started with locating material… Our existing hardwood is 3-1/4″ wide maple and it was challenging to find material in a short amount of time – literally we had less than 2 days. 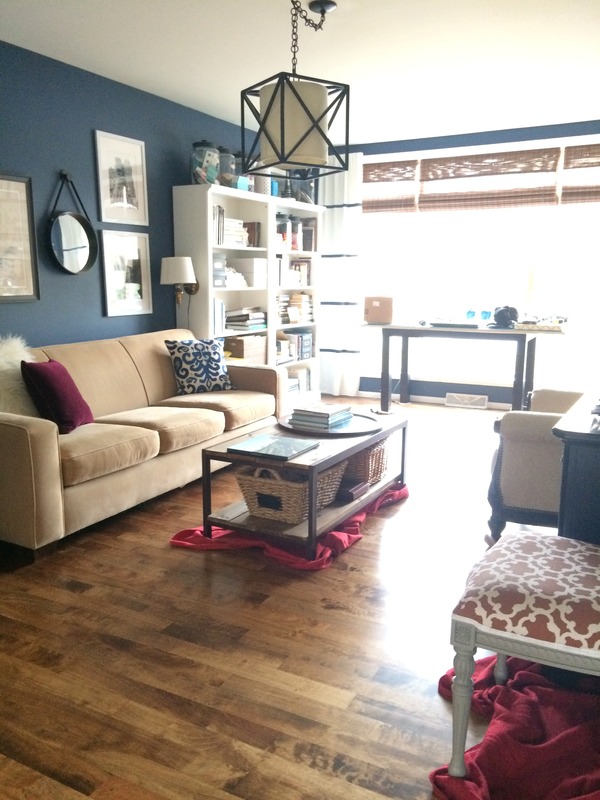 Hardwood should be in the home 3- 7 days before installation so it can acclimate to the setting. After locating enough material at Lumber Liquidators, we were good to go. It took about 3 hours to weave in the new hardwood material to patch the vacant area. 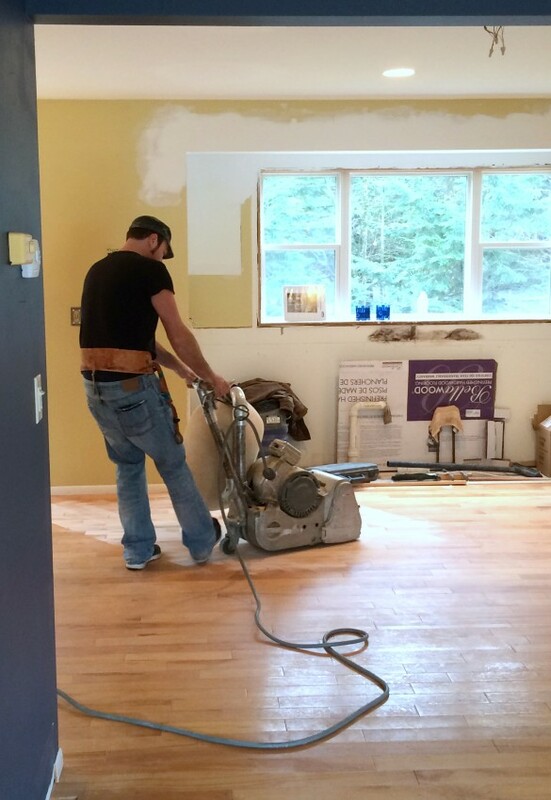 We hired out for the floors through our Lowe’s independent contractor, who used an industrial sander to sand all the floors down to the bare wood. When finished, the gorgeous maple shined through, but in my taste they had to go darker especially with the new white cabinets. In the end, I chose a stain called COFFEE and it’s the 2nd board from the left. It was the perfect medium brown hue with no red or orange. After the floors were sanded on day 2, they stained the floors, and applied a clear coat of oil sealer in a glossy finish. 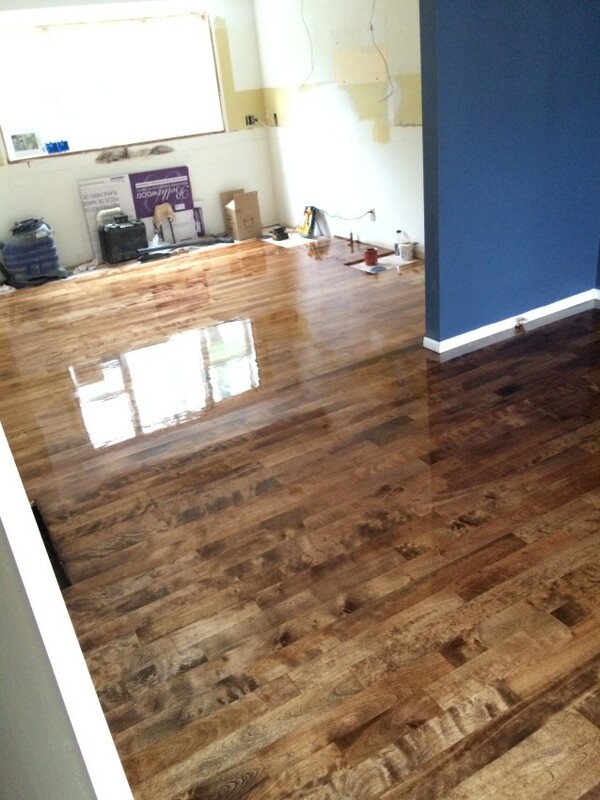 It looked like a gym floor with the high-gloss finish but this wouldn’t be the final finish. They apply this high-gloss finish (2 applications) because it is most durable. 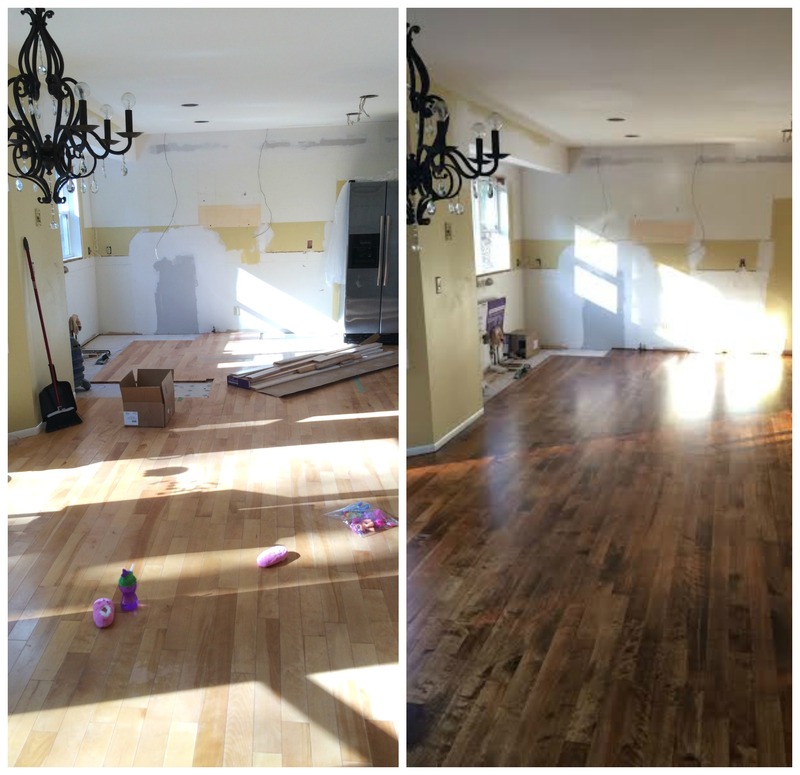 Once dry (2 days later), the floors were lightly sanded again and the final coat of sealer in a satin finish was applied. The before & after is breathtaking. It looks like a completely new space! They are so rich + warm. The floors will take 30 days to fully cure, just like paint on a wall, so for now all the furniture is placed on blankets, craft paper, or felt. I want to protect these bad boys! And there you have it. Walls complete. Wood complete. 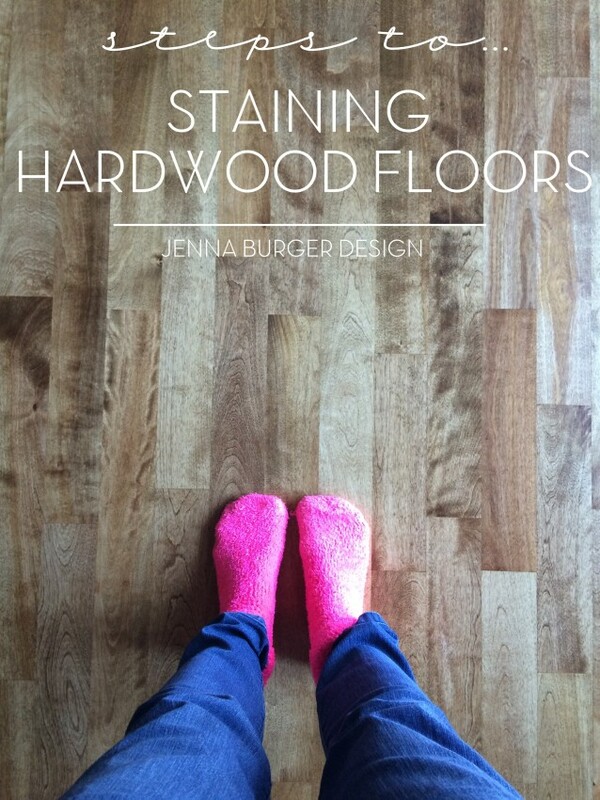 Staining hardwood floor can be quite an undertaking. It’s not difficult, but time consuming and involved. A good sander + high-quality product is key! – 6 – Move back in! >>> Polyurethane takes 30 days to full cure, so no shoes. 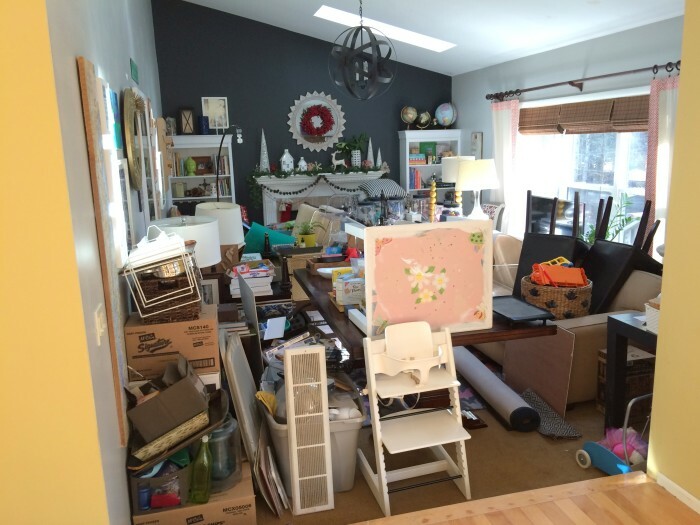 Be Remember to place furniture down, don’t drag! 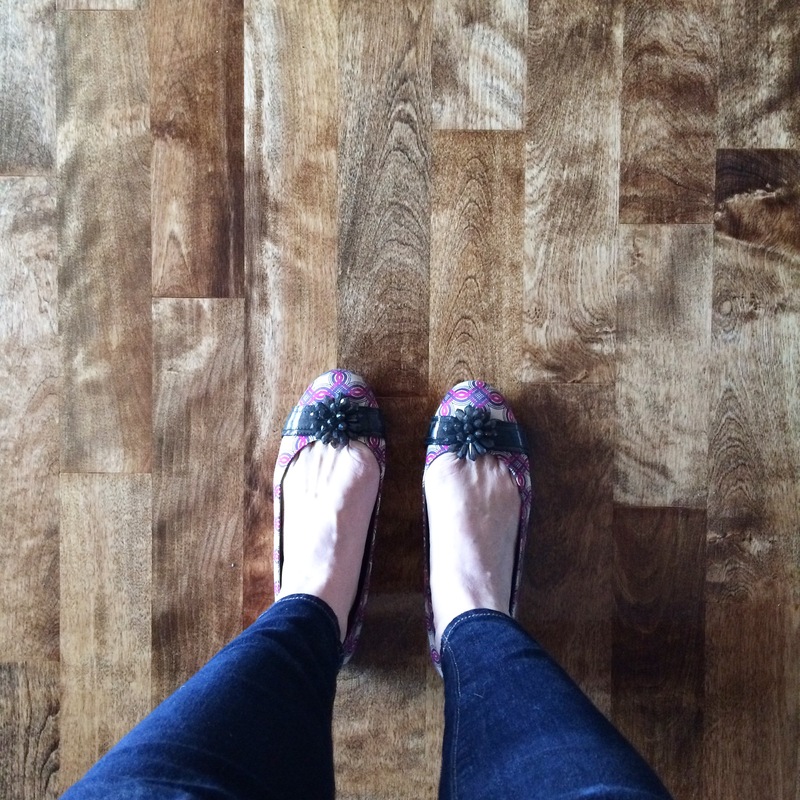 Your floors look beautiful…I can’t wait to see the cabinets. Thank you so much Diane! The change is incredible. It looks so different. Jenna I just love that coffee colored stain…you must reveal the product name. 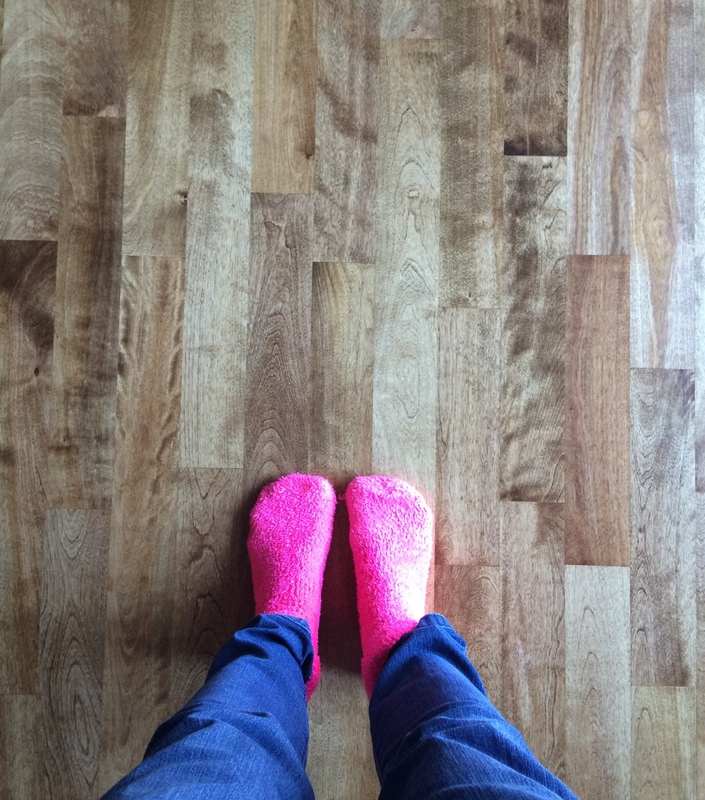 I typically do not like stained floors because of the red/orange color it ends up. Thank you so much Connie! 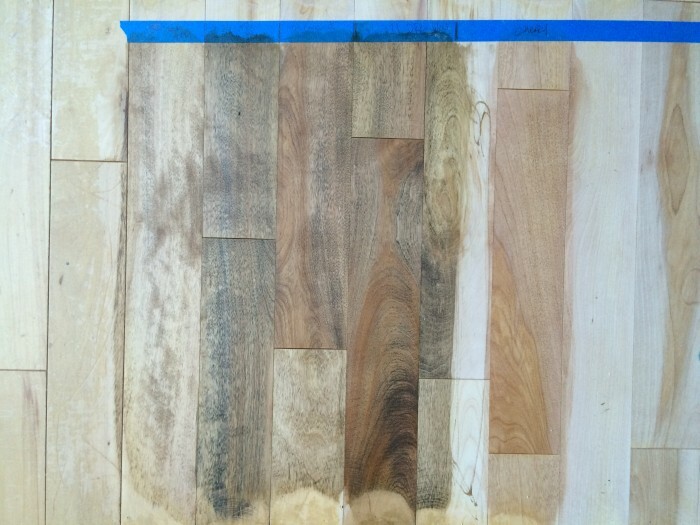 Unfortunately I don’t know the exact product name because I had a flooring company apply the staining. So sorry. I would say the color is close to a light walnut, with brown / no red or orange.